Your Pressing Ortho-k Questions, Answered! So, you’ve heard about ortho-k and you’re interested in this eye care technology. And you have questions. Well, today’s your lucky day! Read on and be informed. First things first, what is orthokeratology or ortho-k? Ortho-k, also called cornea reshaping and overnight vision correction, is the non-surgical process of fitting tailor fit, gas permeable overnight lenses. 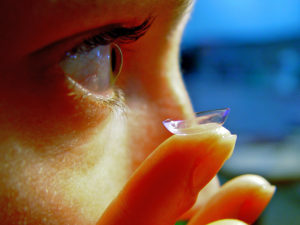 While you sleep, these special lenses reshape your cornea. When you wake up, you can already experience improved vision and you won’t have to wear your glasses or contacts for the day. Ortho-k can help correct refractive errors and arrest the progression of myopia. Who are qualified for ortho-k? People with mild to moderate myopia can get ortho-k. Among children, the ideal age is between 8 to 10 years old. Best success for ortho-k use is expected for myopic patients below 40 years old. If laser surgery is not for you, ortho-k is a great alternative. It is also a good option for people who are actively involved in sports and other physical activities wherein glasses or contacts can get in the way. Generally speaking, healthy eyes are the first requirements for ortho-k.
Conversely, ortho-k is “not recommended for those with prescriptions above 5.00 diopters of myopia or above 1.50 diopters of astigmatism.” Those with larger-than-normal pupils and irregular corneal astigmatism are also not good candidates. How are ortho-k lenses made? Your doctor will map your eyes using a topographer. This allows your doctor to create lens that match your eyes’ unique shape and address its unique problems. The actual ortho-k lenses are made from gas permeable material so your eyes can breathe while you sleep. Yes. Ortho-k is non-surgical, reversible and relatively pain-free compared to laser surgery. The key is to work with a certified professional who will ensure that you are fitted properly and who will guide you every step of the way. Proper management certainly makes a difference. It is also important to note that ortho-k is reversible. If you change your mind, you can stop wearing the special lenses and your eye will return to its original shape and your eyesight to its former vision status. Yes. Many wearers attest that they easily adapt to it especially since each pair is made in large diameters. You should wear it consecutively for four to seven days; longer for more difficult cases of myopia. 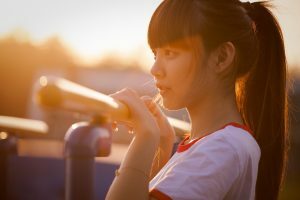 What level of vision improvement can I expect? Of course, the goal is always to achieve 20/20 vision but 20/40 is an acceptable outcome. Do I still have to wear glasses or contacts? Your final shaping lenses will also be your retainers to maintain the achieved vision. You’ll need to wear it six to seven consecutive nights to achieve unaided vision for the whole day. It’s really a case-to-case basis. For some, their doctors might prescribe glasses for part-time use. Generally, ortho-k can cost anywhere between $1,000 to $2,000 for both eyes. Other cost factors to consider include lens replacement, lens care solutions, exams and consultation fees. Got other questions? Join the discussion at facebook.com/Invisalens. Post your ortho-k questions and Dr. Mark Page himself, the creator of Invisalens, will answer and explain everything you need to know about ortho-k and how it can help you fight myopia.